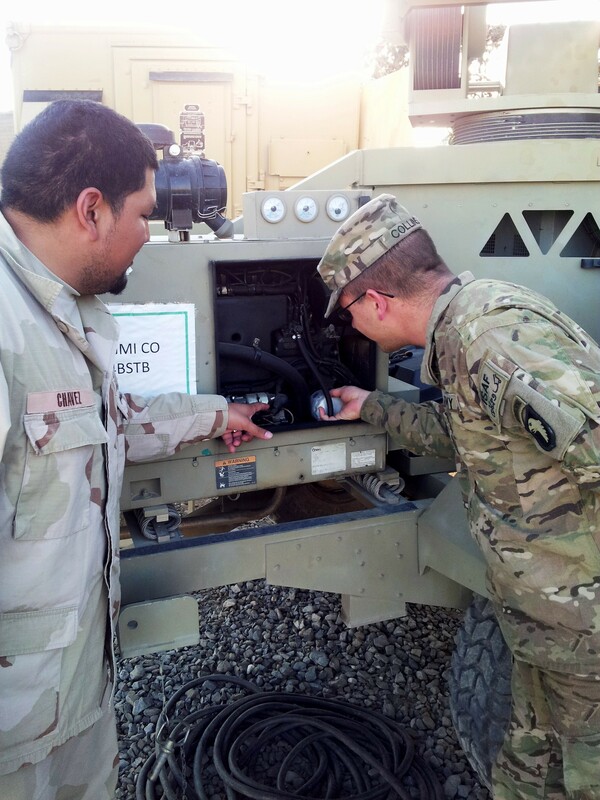 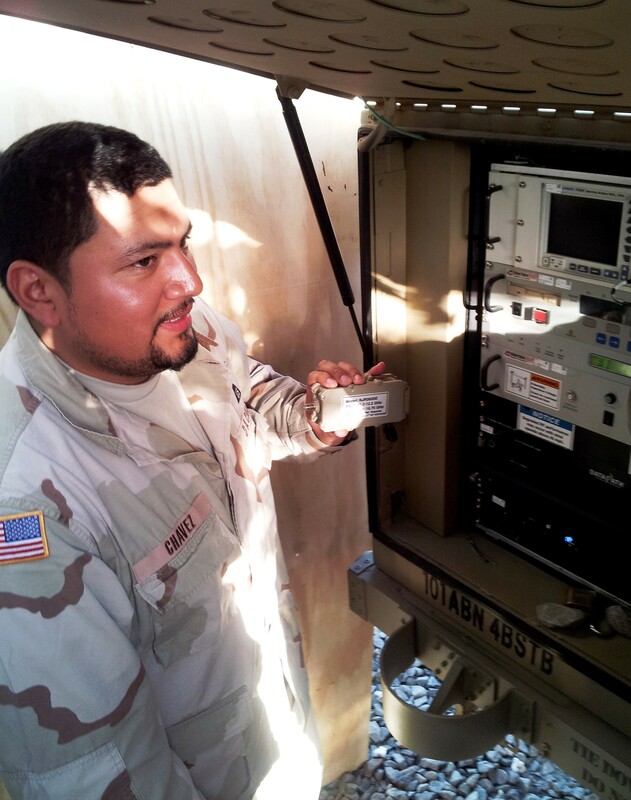 Carlos Chavez, of the Army's Communications-Electronics Command, Long Haul Transmission Logistics Assistance Representative, assists Sgt. 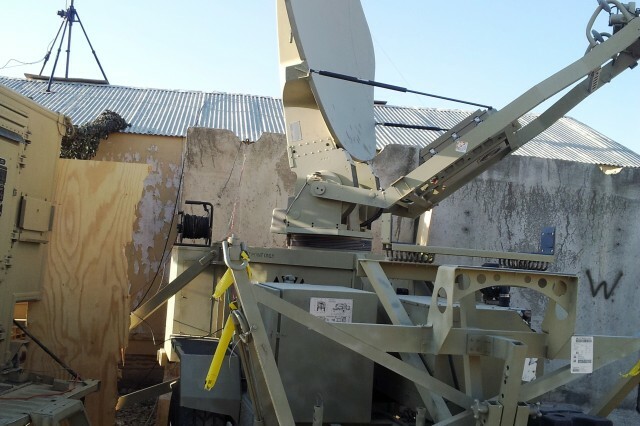 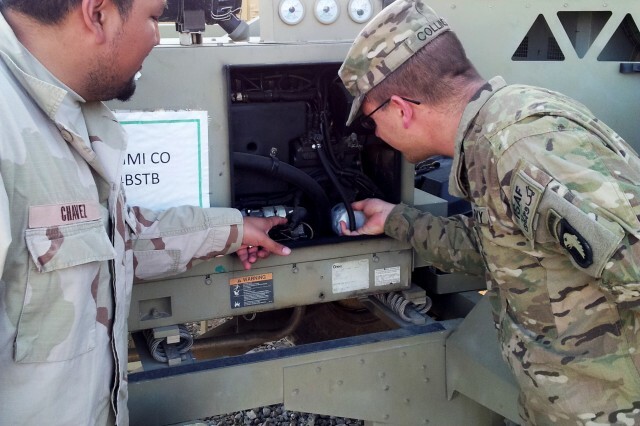 Russell Collins of Charlie Company, 4th Brigade Special Troops Battalion, 101st Brigade Combat Team, May 31, at Forward Operating Base Clark, on troubleshooting and preventive maintenance of the Satellite Transportable Terminal that supports the Joint Network Node. 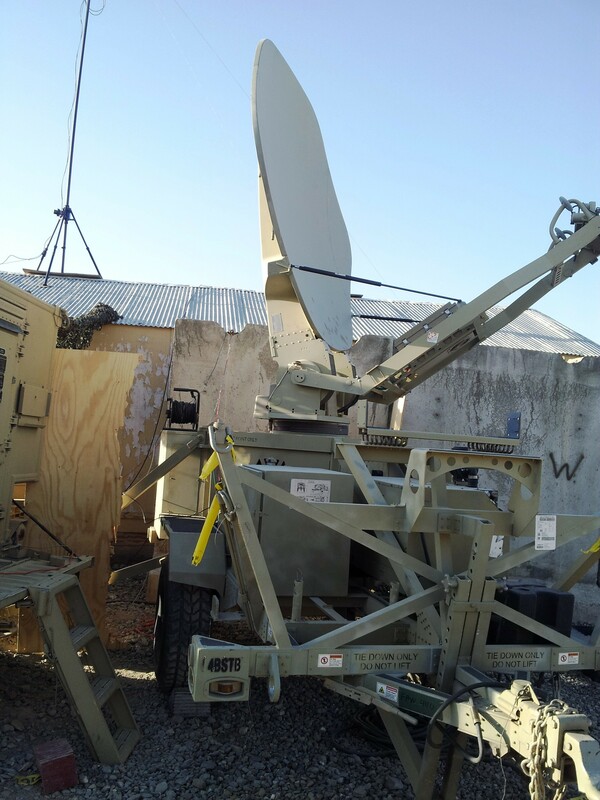 The STT would lose communication with the satellite every time the external generators had to be switched out for maintenance and the onboard auxiliary power unit kicked in. 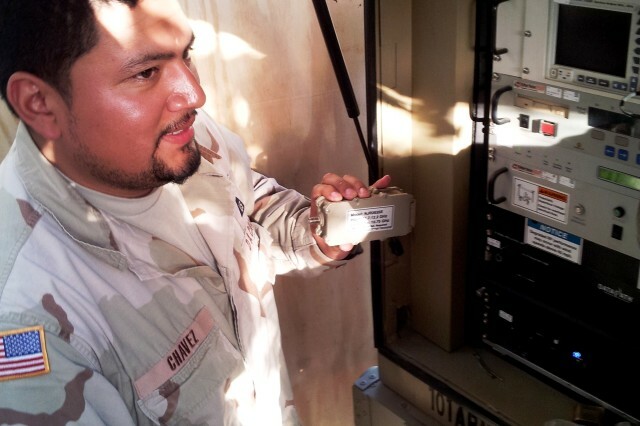 Chavez discovered that the power inverter for the STT was bypassed causing the High Power Amplifier to shut off. 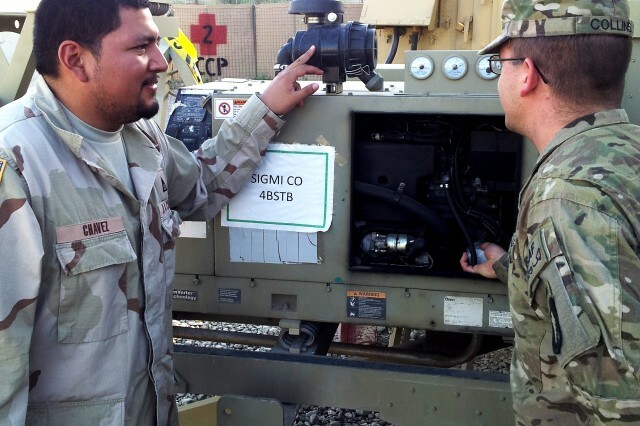 He then instructed them to reconnect the power inverter to the HPA. 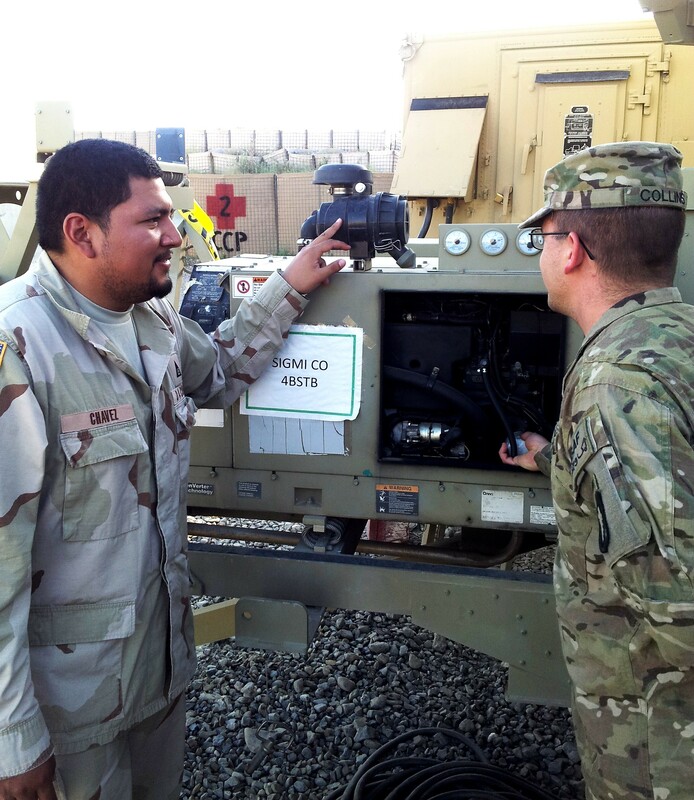 Chavez and his fellow LARs at FOB Salerno, Afghanistan, are members of the Brigade Logistics Support Team serving with the 4th Brigade Combat Team "Currahee", 101st Airborne Division (Air Assault) and attached units.